Planning on heading to Coachella this year? Escape the ordinary and immerse yourself in indulgence with a vacation home after a long day at the festival. Experience the year’s biggest music festival like an A-list with your friends. Enjoy a private pool and spa, your own room, well stocked kitchen and more… It’s not too late to book your Coachella stay! 1. Park Haven Six • South Palm Springs • 6 bedrooms, 5 baths, Sleeps 14 people. Tucked away, behind rows of vibrant green privacy-ficus and bright cascading bougainvillea, sits this boutique-style compound. More info here. 2. The Canyon House • South Palm Springs • 4 bedrooms, 4.5 baths, Sleeps 8 people. Luxury home with 12-foot ceilings, walls of glass in nearly every room, a game room with pool table and dramatic mountain views, all on a quiet upscale cul-de-sac. More info here. 3. PGA West Nicklaus Retreat • La Quinta, CA • 4 bedrooms, 5 baths, Sleeps 8 people. Featuring a south facing Courtyard Pool & Spa, detached Casita and comfortable furnishings. True to PGA West standards, leaving nothing to be desired! More info here. 4. The Retro House • Central Palm Springs • 5 bedrooms, 3 baths, Sleeps 10. Mid-Century modern home with modern conveniences and brand new period-influenced furniture, short walk to restaurants and shops in Uptown Palm Springs. More info here. 5. Sundance Serenity • Palm Desert • 3 bedrooms, 2.5 baths, Sleeps 6. Offering comfortable living space, a private swimming pool and spa and is conveniently located next to Marriott Shadow Ridge and many public golf courses. More info here. 6. The Cascades Retreat • Central Palm Springs • 3 bedrooms, 3 baths, Sleeps 6. Designed by famous desert architect Donald Wexler, this 2900 square foot custom home has been beautifully updated by a professional designer in the last year. More info here. 7. Sunset Lounge • Central Palm Springs CA • 4 bedrooms, 3 baths, Sleeps 10. 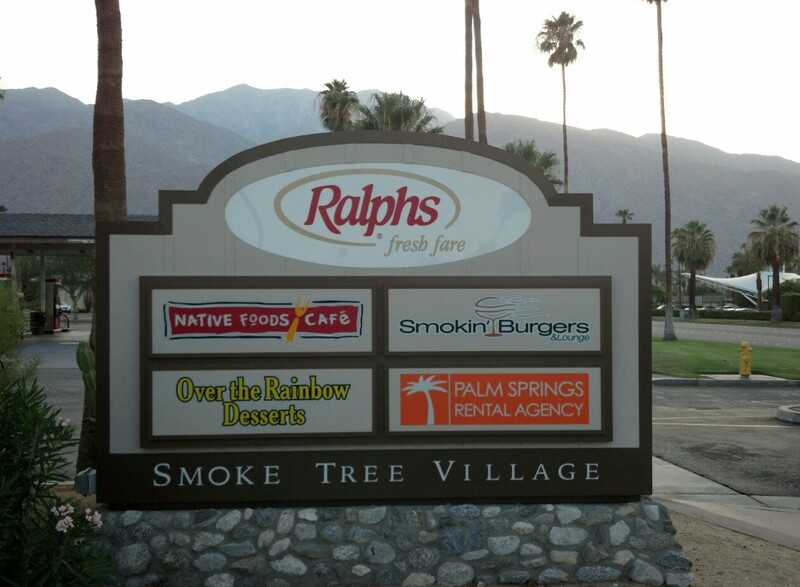 Nestled in the Movie Colony East, within 2 blocks of Ruth Hardy Park and walking distance to restaurants and shops in uptown Palm Springs. More info here. 8. Modern Marvel Getaway • Rancho Mirage CA • 2 bedrooms, 2 baths, Sleeps 6. Stunning mid-century home in the Magnesia Falls Cove of Rancho Mirage is exactly the swanky desert modern getaway you’ve been looking for! More info here. 9. Palm Springs Holiday House • South Palm Springs • 4 bedrooms, 2.5 baths, Sleeps 8. Located in the Los Compadres area, 2,100 sq ft home has everything you need, including saltwater pool & spa, mountain view and family room with HDTV. More info here. 10. Villa del Sol • Central Palm Springs CA • 4 bedrooms, 2 baths, Sleeps 9. Only minutes away from downtown and is adjacent to the famous Movie Colony area and Ruth Hardy Park. Privately walled and gated for privacy. More info here. This entry was posted in 2016, Coachella, Coachella Valley Music and Arts Festival, Events, Festival, Uncategorized, Vacation Rentals. Bookmark the permalink.